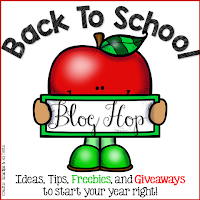 What better way to welcome the school year back than with a back to school blog hop and amazing giveaway! 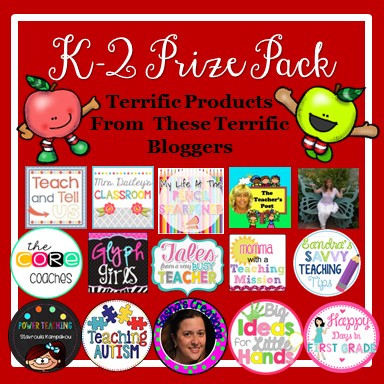 I'm teaming up with some awesome teachers to bring you back to school ideas and a giveaway! So this week was my first week back to school! The summer went by way to fast and I felt like my every growing to do list never got any shorter. Now it is time to get back into the swing of things with school. Surprisingly, I was able to get a few prep things accomplished that did help make my first week back to school much easier. So if you haven't started back yet, read on for a few tips to help make things a little easier your first week back. The first thing that I did was before we left for summer break, I prepped the big things that I knew we would need when school started back such as our calendar notebooks, sight word ring cards, and beginning of the year assessments. These are things that no matter what students I have, I know I will need. I try not to prep work because I do not know how many students I will have, what they will be like, or what they will know when they come in. So I save this type of stuff for once school starts. Another thing to do before you leave for summer is to go ahead and set up your shelves. We are allowed to leave things on our shelves as long as we wrap our shelves so nothing falls out when the custodians move everything to clean our rooms. So I went ahead and switched out all of my books to beginning of the year themes and put all of my games and manipulatives out on the shelves that we use at the beginning of the year. I set up the shelves exactly how I want them to be when school starts. This way I only have a little tweaking to do just from the moving of the furniture. I then wrap all of my shelves in saran wrap. I used to use butcher paper but the custodians would put holes in it while moving the furniture and things would fall out and it would rip and it was just a disaster. The saran wraps holds everything in place and makes everything so much easier when I go back to set up my classroom. I also have my books labeled to match each book basket. 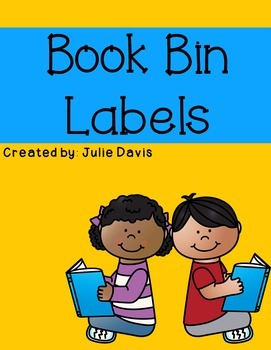 Each book has a sticker that matches the corresponding book basket so that it is easy for students to find a book that interests them and easy for them to put the book back when they are done. I also try to do my "crafty" projects over the summer because I know that I will not get to them throughout the school year. One project that I do every summer is these fun birthday balloons. For some reasons, students' birthdays always sneak up on me and I don't want to forget and not have something to give them to make their day special. I make a class set of these birthday balloons so that I always have them on hand to pass out on each child's birthday. They sit on a shelf all year and the kids pick one when it is their birthday. They love it! Another tip that I highly suggest is numbering your students. Teaching on a military base, I have students that are constantly moving and trying to erase their names and write the names of the new students is very time consuming. So instead, I number the students and each student learns their number and I use this for everything, to line up, on lockers, on cubbies, on notebooks, everything that I can. This is a huge time saver throughout the school year. Line up dots are also a must! This way there is no pushing and shoving, not cutting and fighting. Everyone knows exactly where they need to be in line. We line up in this same order everywhere we go. The only thing that changes is the line leader and door holder will move to the front each day but everyone else will remain in their number order spot. One thing that I do prep for student work is our sight word notebooks. No matter what, I know what sight words we will start with. Our curriculum does dictate when we begin sight words (the first week) and which sight words we teach in what order. A lot of our kiddos come in not knowing their letters and sounds and we want them reading sight words already! So this task has to be fun and interactive for them to learn these words. I created sight word interactive notebooks for all of the dolch words. These are fun, interactive ways for the kids to learn their words. Last year my kids loved these and the activities helped the words really stick. I will be introducing these activities to my kiddos next week and hope it will help them too! Take a look at the different activities included in this pack! If you want to win a set of these activities along with a ton of other amazing back to school items to help start your year off right, make sure you enter the rafflecopter below. Good luck! Now head on over to check out some other amazing ideas from some great bloggers!